Moving can be an exciting and stressful time. First of all, you have to box up everything and secure your valuables. But just wait, that’s not all! Once your home is packed up and cleared up, you have to clean up your property precisely. Of course, you want to get back the full deposit from the landlord. You may consider hiring move out cleaning service in Glenview IL . Certainly, you have enough on your plate; cleaning is the last thing you want to. The kitchen is one of the first places your landlord or new tenant will notice. Everyone deserves a clean place to prepare and eat their meals. It’s essential to make the kitchen space spotlessly clean. Make sure the kitchen appliances are spotless and empty. The inside and out of the microwave and refrigerator should be cleaned. If you find a hood vent over the stove, you need to get it cleaned and polished. Any stove burners, top, front and control panels on the stove should be cleaned. The inside of the stove should be wiped out. All kitchen surfaces will require cleaning and shining. It will cover the cleaning of kitchen countertops, backsplash, all the handles and cabinets, light switches and door knobs. The commonly missed areas in Kitchen are the inside of the cabinets. You should vacuum and clean up the areas to mitigate bugs. The kitchen sinks should be scrubbed thoroughly and dried out. To finish off the kitchen floors, you need to sweep and mop them thoroughly. Consider cleaning up the bathroom. The bathroom is one of the most intimidating places to clean up. This is a space of your home that you will want to leave spotlessly clean and tidy. Scrub the shower, tub, tile and grout floors with a suitable cleaner. Wipe down and dry the walls, bathroom counters, and ceilings. Clear and wipe out the medicine cabinets and vanities. Use a simple window cleaner for cleaning of any windows and mirrors. Scrub the inside and out of the toilet. Use the rubber gloves for your convenience. Use a gentle disinfectant to work well on the bathroom sinks. Mop the bathroom floors thoroughly. Prepare cleaning the bedrooms and living rooms. 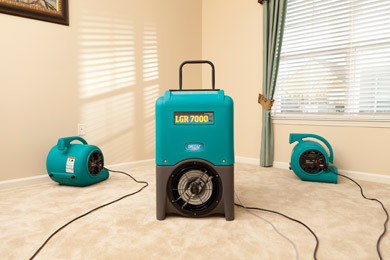 When it comes to cleaning of bedrooms and living rooms, they are equally important like the kitchen and bathroom. Detail all ceiling fans, furniture, and walls. Get on hands and knees and scrub baseboards. It’s necessary to be cautious around painted walls as to not damage or chip any paint. Use a window cleaner to wipe down window blinds and sills. Wipe down any type of air conditioner vents. Mop, vacuum or hand-clean the floors. 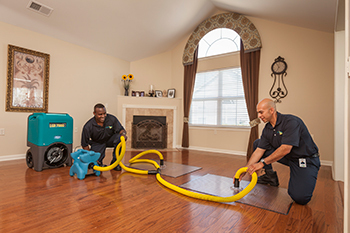 Hiring the reliable move out cleaning service in Glenview, IL like ServiceMaster Cleaning and Restoration Pro can leave your property looking and feeling good. You will feel confident handing in those keys and getting the security deposit back from the landlord. It’s time to enjoy your new home and next adventure. For immediate availability, contact us as soon as possible and let us help you out!